Sacramento makeup artists can rarely meet the standards set by Something Blue By Kayci Stoots. Over the years that Kayci has been providing her services to women throughout California she has become known for providing some of the highest quality of wedding hair and makeup. You will be able to look your absolute best with this expert assisting you and she is also able to offer unbeatable advice on what will help you to look amazing for your special day. There is no other makeup artist in Sacramento, CA that loves his or her job as much as Lea Buehler. Not only does this show in her work but previous clients always mention how amazing the entire experience was in their reviews. One of the main reasons that Lea enjoys her work is that she gets to be part of such a special occasion. As this artist takes pride in making women look their best on their big day you can guarantee that you will get the best results from this professional. More than anything else it is the incredible list of celebrities that Julia Richardson has provided her services for that serves as reviews of her work. Julia has worked on all kinds of projects including television and professional photo shoots. 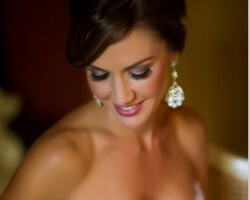 In addition to her commercial work, Julia is one of the most talented artists available for wedding makeup. If you are searching for quality bridal makeup on location then you should look no further than the services of Julia Richardson. Vicious Vanity FX is not the right choice for a conservative or traditional bride as these artists are specialists in creating unique and stunning looks. This team truly is made up of artists when it comes to makeup and each member has been handpicked by the owner, Nicole Chilelli. By contacting this company you will have access to some of the most cutting-edge bridal makeup options in California and will certainly get breathtaking results that will have all eyes on you on your big day. Alma Puig founded Lasting Looks to offer permanent makeup options for future brides throughout Sacramento. She has a high level of experience and expertise with a huge number of cosmetic industry leaders. All of the services that Alma provides are designed to make sure that brides have a natural and soft look that will suit any image. Calling Lasting Looks directly will get a free consultation of all of the services that you are interested in and a quote of her competitively affordable prices.